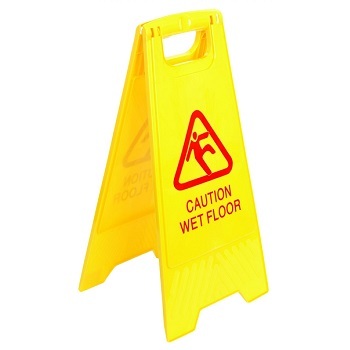 Heavy duty plastic A-Frame 'Caution Wet Floor' safety sign. Fluorescent colours for high visibility. 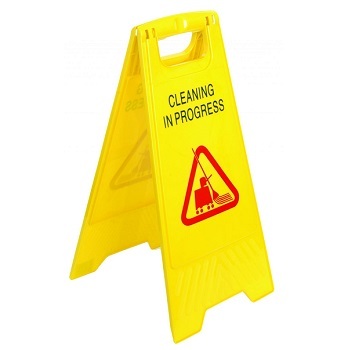 Heavy duty plastic A-Frame 'Cleaning In Progress' safety sign.